Here's my primary stringed instrument these days, a large-bodied 21" scale length Stuart cittern. For Irish music I use it mostly for playing melody, usually tuned GDADA. 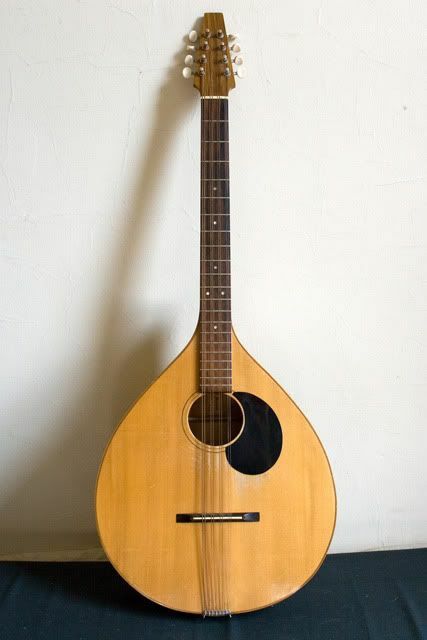 Definitely the finest octave mandolin/bouzouki/cittern I've yet played. Very strong, resonant, woody sounding bass, ringing high end, terrific sustain, and a very comfortable thin neck and radiused fingerboard. I've been raving about it since it arrived around a month or two ago, as I'm extremely pleased with it. And here is my main mandolin, an ancient Gibson A2. 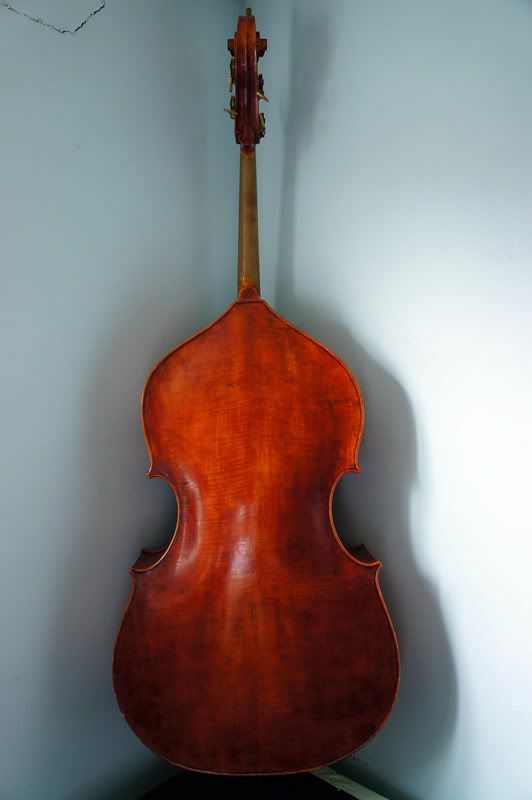 I also play a good bit on a Weber Aspen and Sonny Morris A style, both of which are very nice, as well, however I prefer the wider string spacing and more nasal tone of the Gibson more. This photo was taken by the seller before I got it, quite some time ago. And here are both of my old German waldzithers, the one on the left is a longer (at least by waldzither standards) 20" scale length waldzither made by Plückthun & Co, with an arched top, domed back, and very ringing tone, which I keep in GDADA tuning. 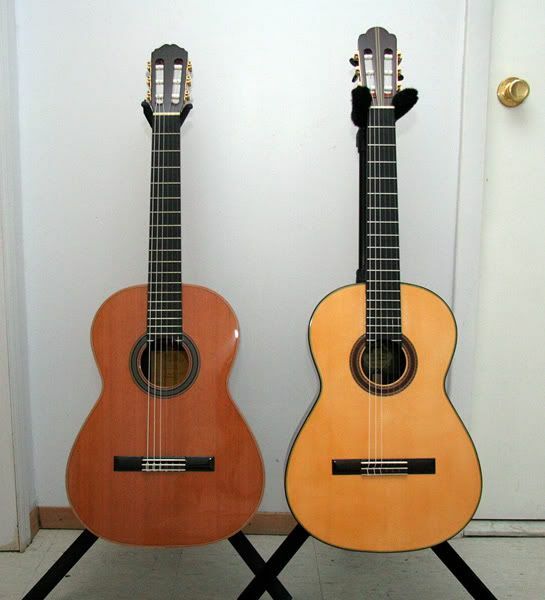 The flatback on the right has an 18.5" scale length, and is made by Lebens, tuned GDAEA, with a softer sound more similar to the Bohm style waldzithers. Sorry for the large photos, I don't know how to make them smaller in size. I have been a string player most of my life but I started on trumpet and percussion/drumset before that. 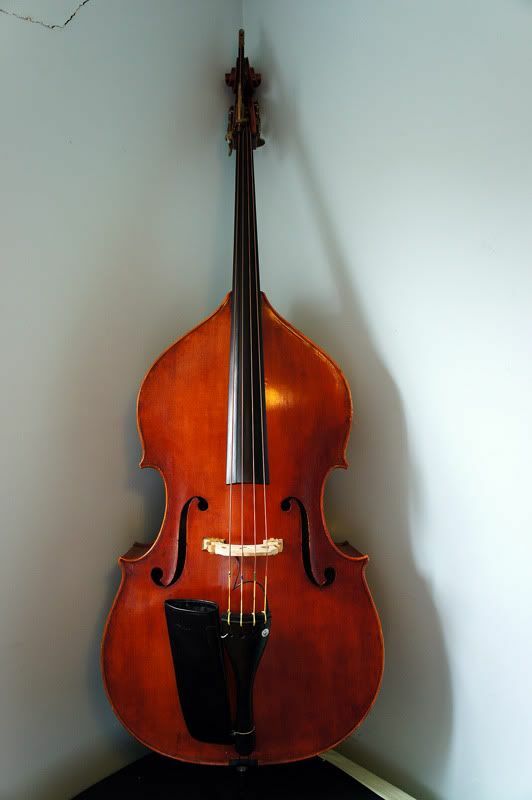 For the last twenty years I've spent most of my time as a professional mandolinist, bassist, and guitarist but I've always had all kinds of stuff around: charangos, pandeiros, drumsets, accordions, trombones...you name it. No uilleann pipes though! 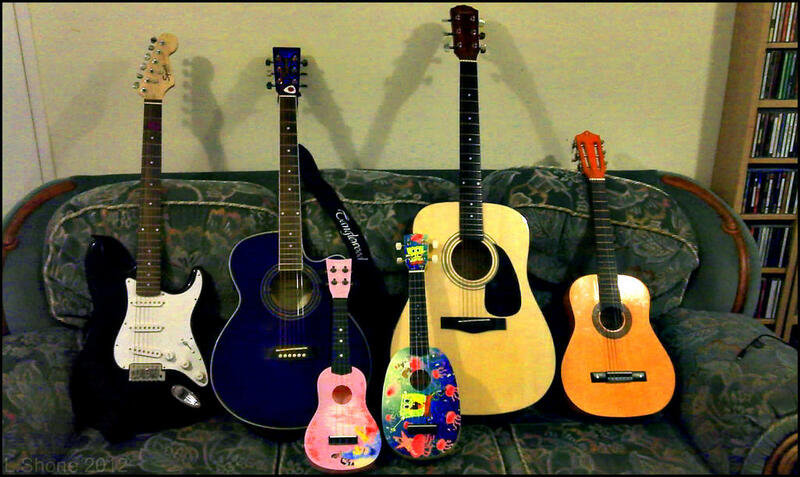 As far as traditional string instruments go here are some of mine. 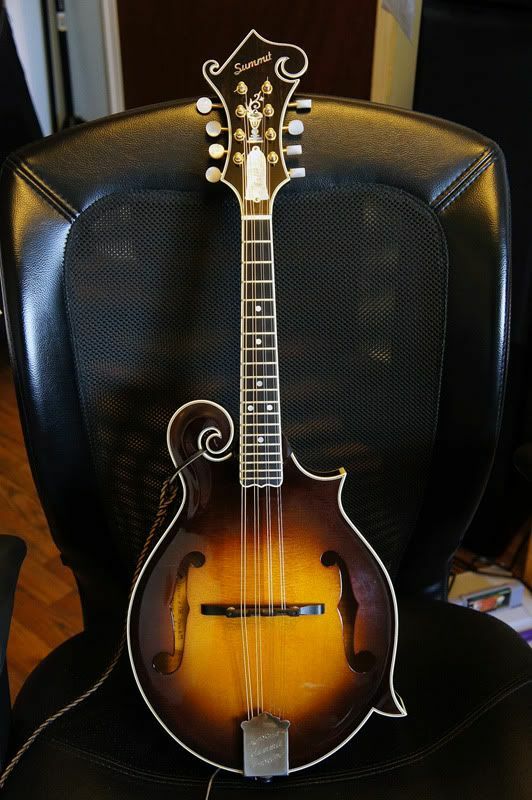 My baby, a 1999 Summit Artist F5 Mandolin by Paul Schneider. With it I have been concertmaster of the New York Mandolin Ensemble for the last three years, going on four. 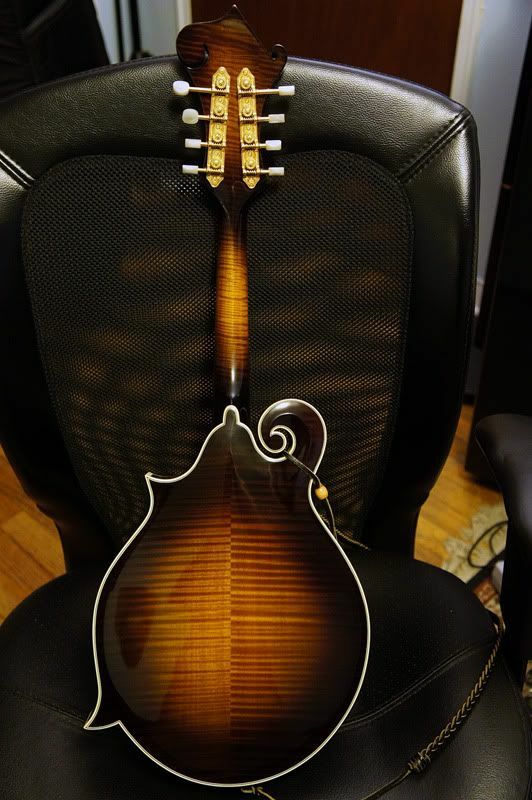 For a time I owned this rare octave mandolin by Charles F. Morrison. Mando crazy man Radim Zenkl took tracings of it when I studied with him. Great instrument but it just didn't get played enough to justify keeping it. Of course now I wish I had kept it. 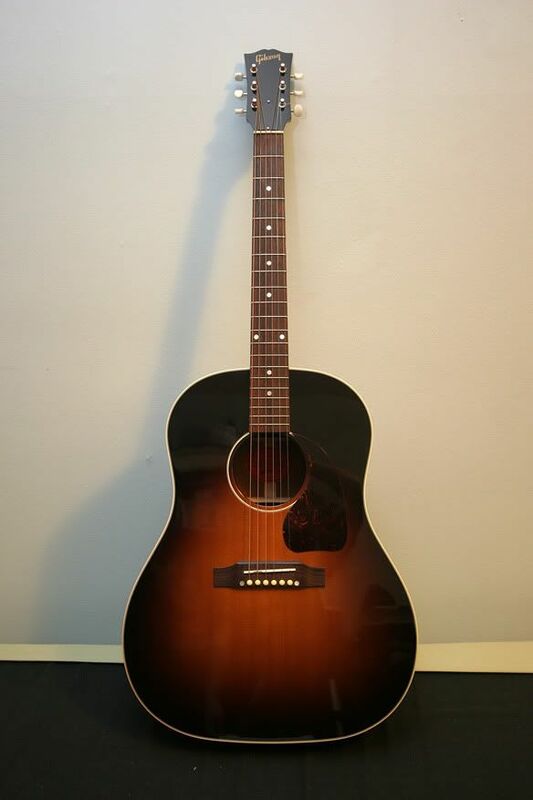 Gibson J-45 Historic Collection circa 2005. Got it on a trade for my cedar top classical shown below. A superlative J-45 that rings and rings. Nut and saddle blanks from Bob Colosi. Hmm.. for some reason my above photos disappeared... I never changed anything. They were linked from Facebook and I didn't change my album settings (it is still set to public). 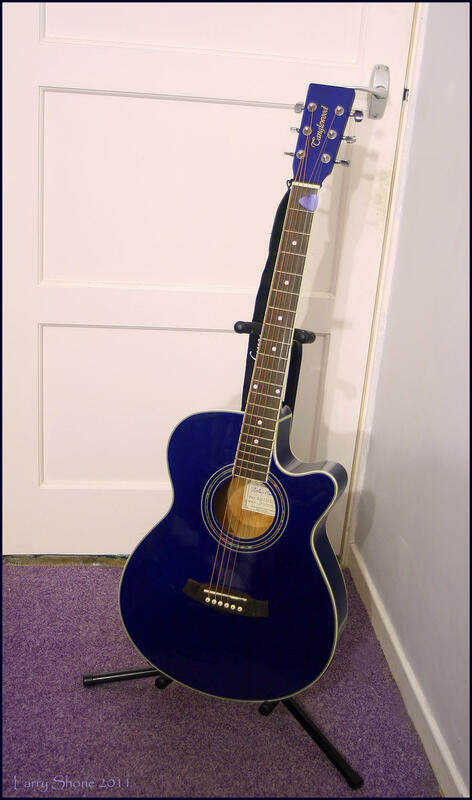 I have photos of my guitars on flickr but when I copy the url it doesnt work as a jpg. I used to use Photobucket but its changed and doesnt really work anymore. The site is loaded with spyware. 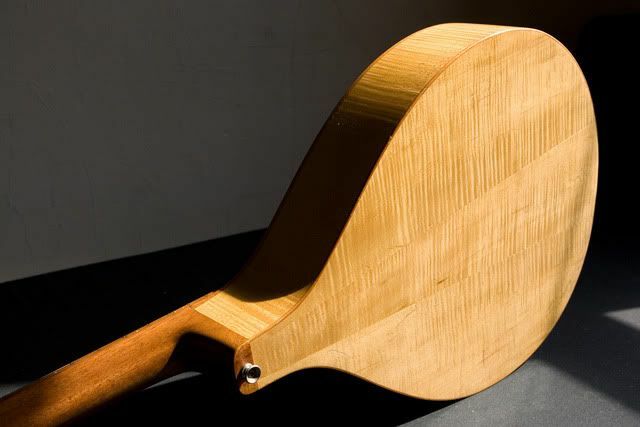 I just completed this tenor banjolele from plans online. The pot is a Remo hand drum. 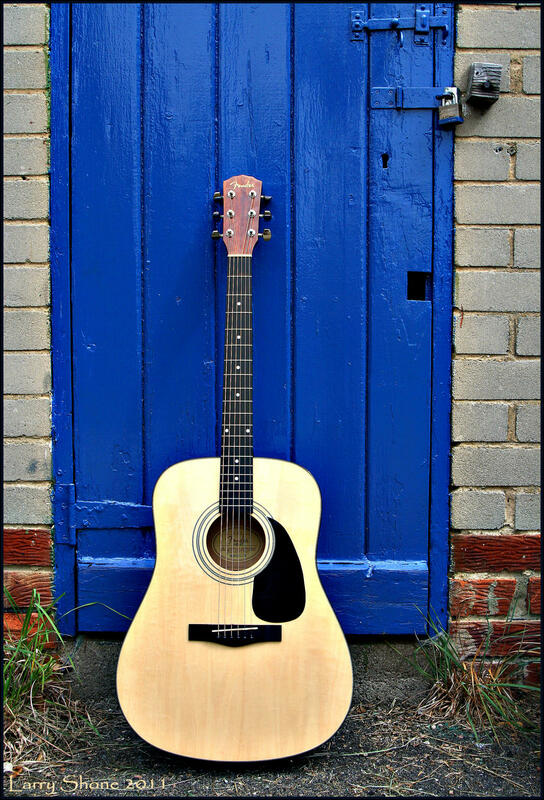 The neck and fret board are walnut, carved by me. Hardware, nut and bridge are from various online suppliers. Strings are Worth tenor uke strings tuned gCEA, standard uke tuning. Now I need to learn to play it! Also, I need to figure out how to post images. I can get the url to the photo in dropbox but when I use the "img" thingie, all I get is the word "Image" as seen above. The file is only about 644kb and the link inside the brackets is the same for both the URL brackets and the Img brackets. Is this any better, walrii? Perfect, Ben! What was I doing wrong? Here’s a photo album for a mandolin I’m helping build. We still have a lit of work left. I’ve set the album to Public so it should be viewable for those without Facebook. I don’t think I’ve posted this already, but my memory is awful. Apologies if it’s a repost. Unfortunately, I've found the same as in previous instances with Dropbox. Dropbox needs to be pen for the picture to be visible. So, sadly, it's not so perfect any more. I have two steel string guitars but this is my classical.